MaxGEE StayClean for Glass contains NO acid or vinegar and has been developed to clean all glass inside or out quickly and efficiently, without leaving any streaks or smears that are usually associated with glass cleaning. 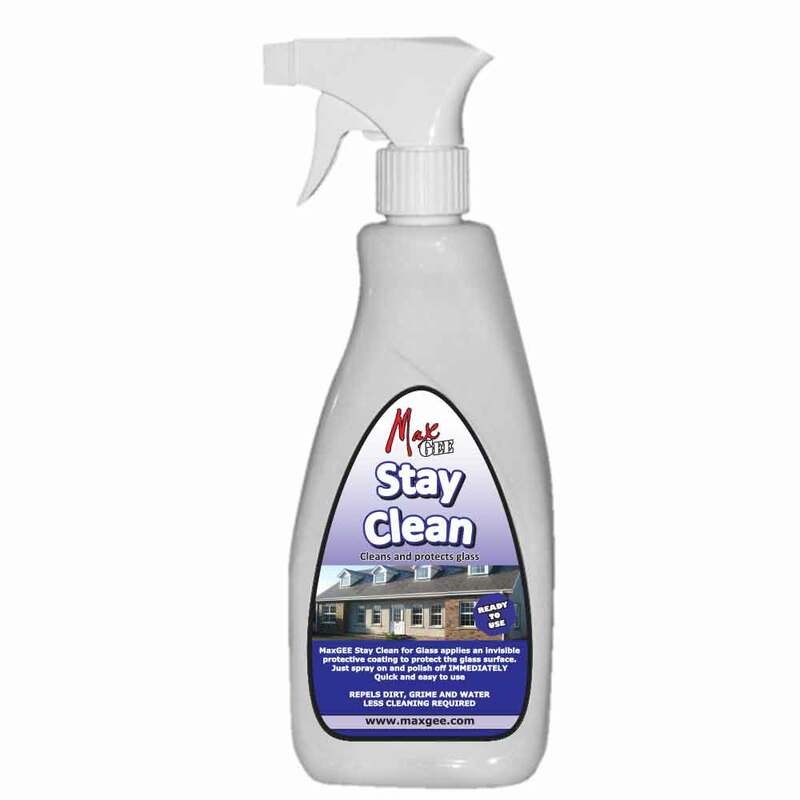 MaxGEE StayClean for Glass is also a highly effective hard surface cleaner for use inside and out, around the home and garage. The product should always be used to clean and prepare any glass surface for the application of any MaxGEE glass coating products. Using the sprayer supplied to apply the product evenly over the surface to be cleaned. Continue to wipe over the surface, turning the microfibre cloth occasionally to present a dry area to the surface being cleaned, until it is clean, dry and shining.